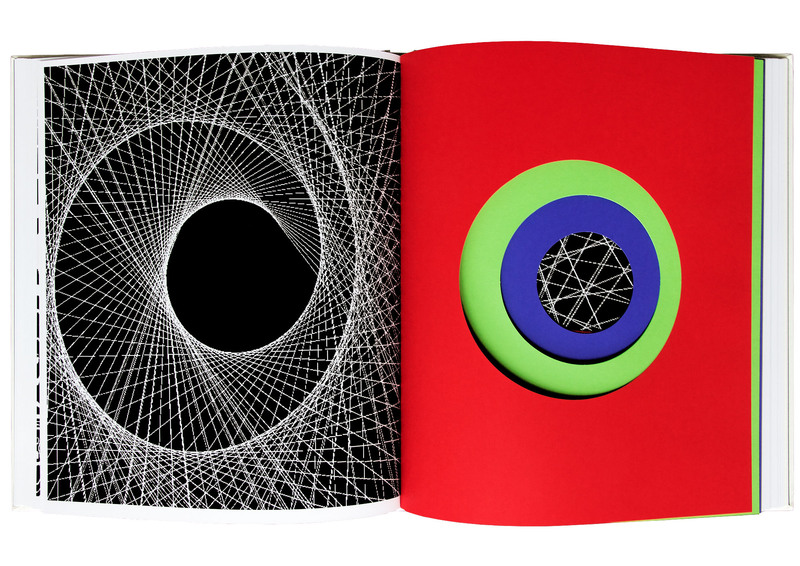 The book concept is a tribute to the origins of the digital art: the pixel. 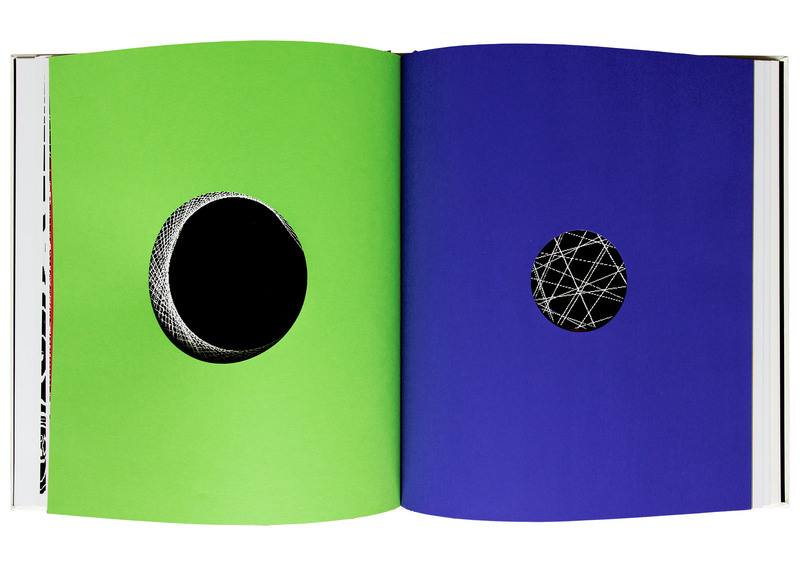 We designed a book that goes beyond the color barrier to get to the source of the image, its essence. 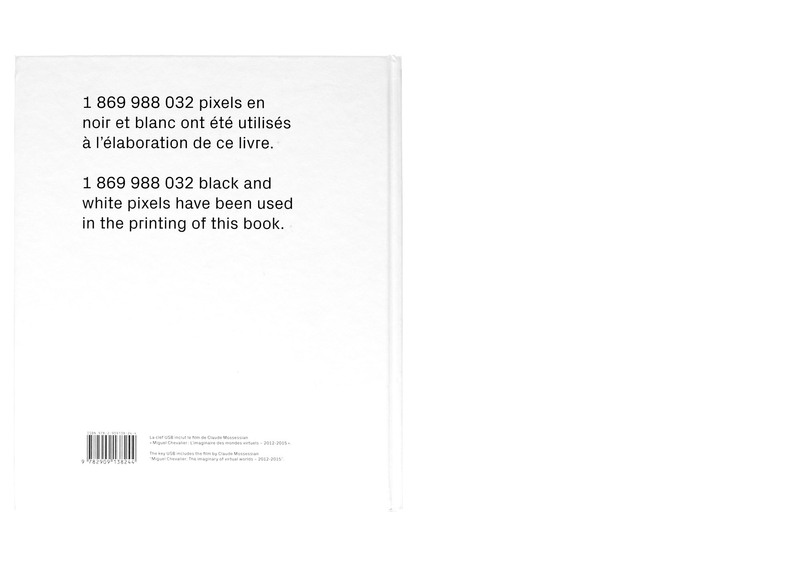 You are transported in a journey that begins with the surfacing from the black that becomes, little by little, 0 – 1, ON – OFF, pixel. 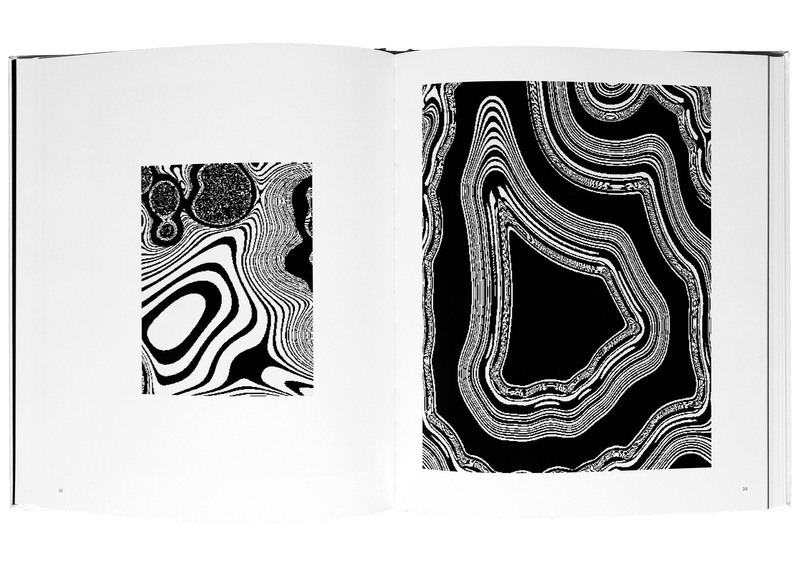 After this initiation the path is revealed to the reader through a series of black and white images commented by quotes from the video and QRcode poems. 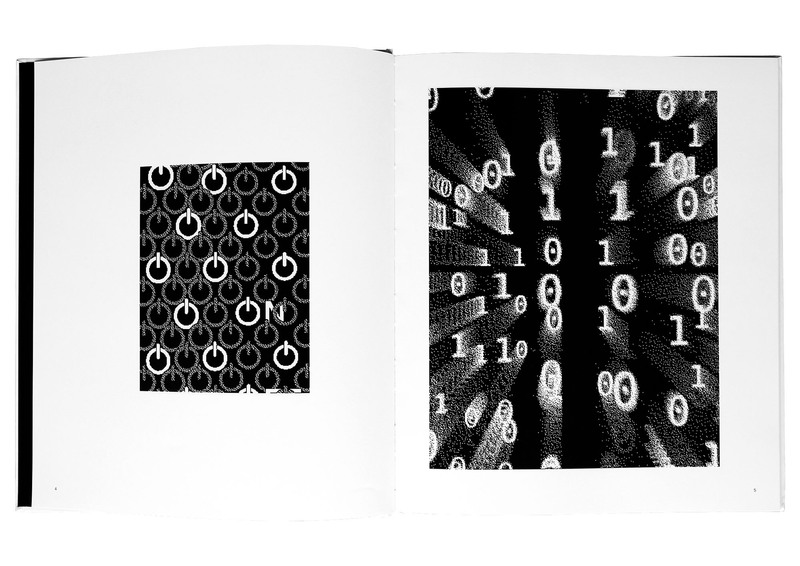 With a special image processing of pixilation in black and white we can really get into the work of Miguel Chevalier matrix and have fun reading the alphabet of his geometric shapes, fractal flowers or organic movements that are the basis of the work of this pioneer of digital art. Talking about technical aspects we have chosen to work with different types of paper with changing textures and shades to emphasize the transition from one section to another: a UV varnish layer was passed after on all images to give more impact to the works and to make the impression of images on screen. The tribute to digital is also evident in the choice of fonts: the PX Grotesk with its hybrid forms that combine the formal solutions of the pixel grid with a linear drawing was chosen for text, while for titles and highlights we’ve selected a parametric typeface designed by Metaflop, which have letters that become unique and adjustable each time depending on the context. 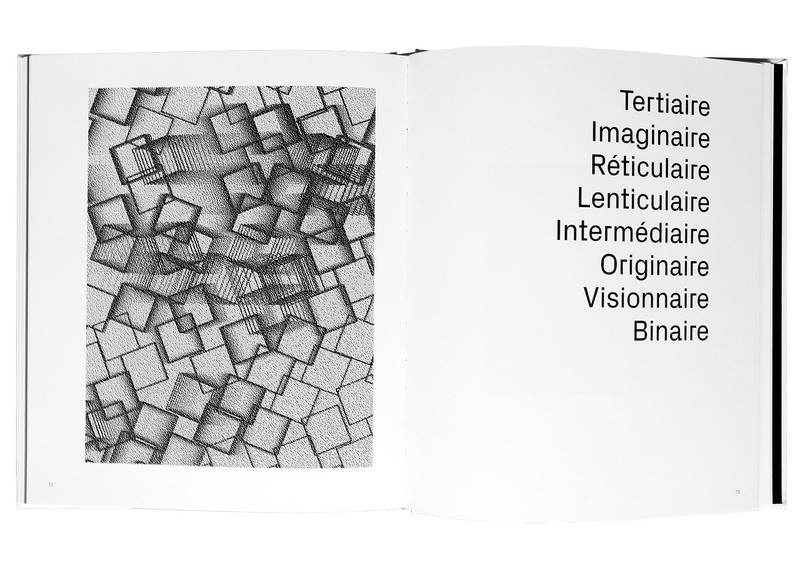 The reflection upon the design led us to create a book able to interact and complete the enjoyment of the video made by Claude Mossessian related to Miguel Chevalier’s work of the last three years. We didn’t want to repeat the sequence of the works shown in the video but we would like to give some kind of explanation around the birth of a work of kinetic art: in this way we have on one side the video that shows how the installations’ working principles and the on the other side the book that present his generation. 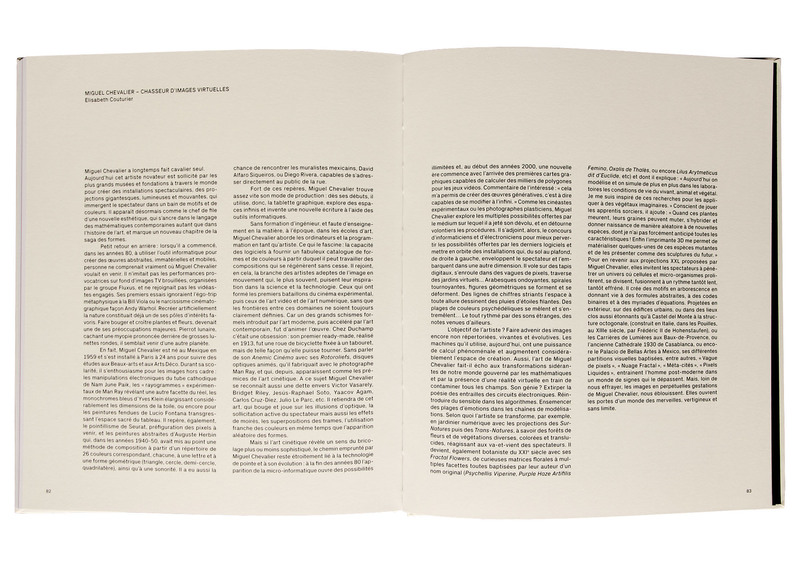 In this manner the two objects become complementary: the book become the text to read together with the explosion of color of the screen. 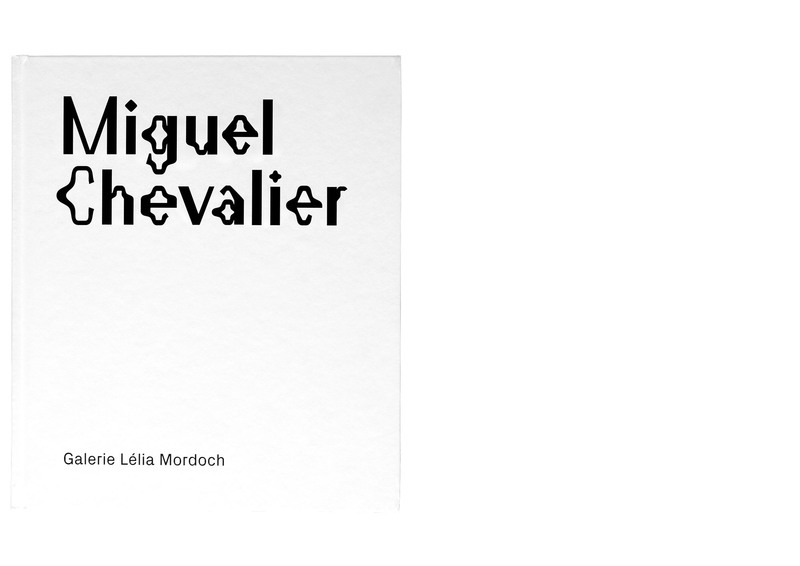 With this book we wanted to show a different aspect of the art of Miguel Chevalier, almost closer to painting: we hope that with this book the reader would get close to the pixels as it would be with the brush strokes in a impressionist painting.